In business there is an old cliche time is money the exact same thing could be said when it comes to plumbing services. Plumbers Now provide a professional and fully guaranteed commercial plumbers service. We are a one stop shop when it comes to commercial plumbing services as we have the largest team of professional plumbers so we can service any job whether its a full new build, an installation of a building wide heating system, maintenance contracts or a one time call out. 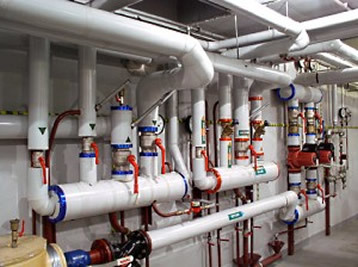 Our plumbers are highly skilled, experienced and use the latest in technology to ensure a quality, professional commercial plumbing service on every job we do. Plumbers Dublin are the number one choice for plumbing services in Dublin. Plumbers Dublin operate on a large scale so can any type of domestic plumbing service. Whats more we're full guaranteed and registered for your peace of mind that Plumbers Dublin workmanship is quality workmanship. When it comes to commercial plumbing you need a company you can trust, a company that can be with you quickly when something goes wrong. Plumbers Dublin have one of the largest fleets of mobile service plumbers in Dublin. We cater for everything from large scale installations to a leaky tap.